Trinity Desktop Environment (TDE) are an unbeatable combination that provides a powerful and flexible computing platform. I had used an earlier release of Q4OS on a test machine that recently died. That presented the perfect excuse to check out the latest snapshot of Q4OS 3.6 Centaurus, based on the Debian Testing branch “Buster,” released April 5. 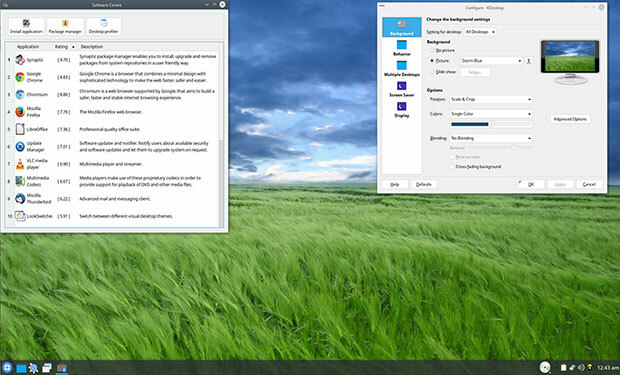 Q4OS is one of several favorite OSes I regularly use. I discovered Q4OS several years ago when looking for a Linux distro that ran the then just-released Trinity desktop. 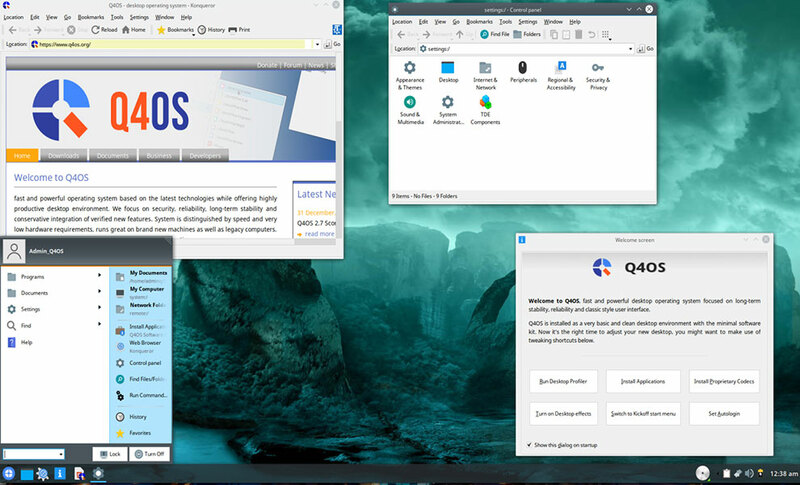 This distro’s German developers built Q4OS around the Trinity desktop. Q4OS is one of a very short list of Linux OS developers offering TDE. The TDE project began as a continuation of the K Desktop Environment (KDE) version 3 after the Kubuntu developers switched to KDE Plasma 4. A new community of developers forked KDE in 2008 from the last official release of the K Desktop Environment’s third series (KDE3), version 3.5.10. The Trinity desktop is now a project in its own right. Trinity’s name reflects that heritage. It means “three,” and TDE was a continuation of KDE 3. You still can get Q4OS 2.7 Scorpion’s current release of December 2018 in either Plasma or TDE editions. That download is a long-term support release that gives you security patches and updates until October 2022 at least. Also available is the Q4OS 3.4 Centaurus edition released last September. The distro’s latest Centaurus release will be reissued as a stable version in a few weeks. 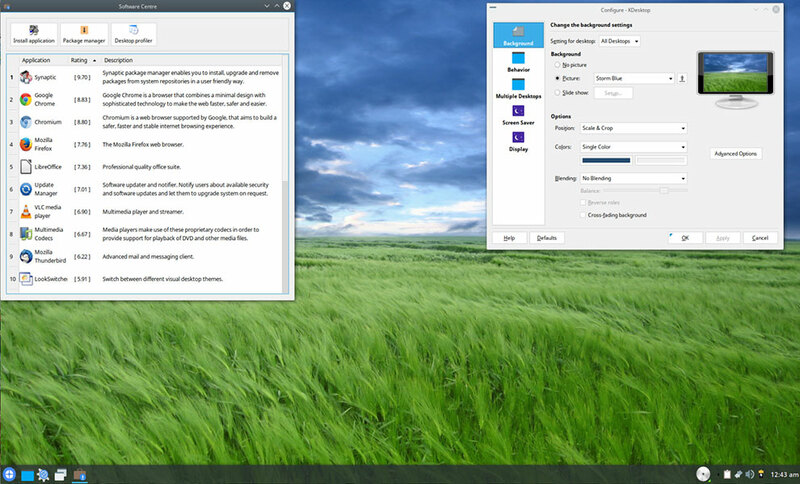 It focuses on a choice of the KDE Plasma and the Trinity desktop flavors. Unless you are a fan of the new KDE Plasma 5 design, the option to run a modernized yet classic KDE 3-style desktop is a significant one. The developer’s name or company details are not publicized on the website, but clearly, Q4OS is intended to be more than a community-supported general purpose Linux distro. The website invites businesses to makes use of Q4OS.org’s commercial support and software customization services. 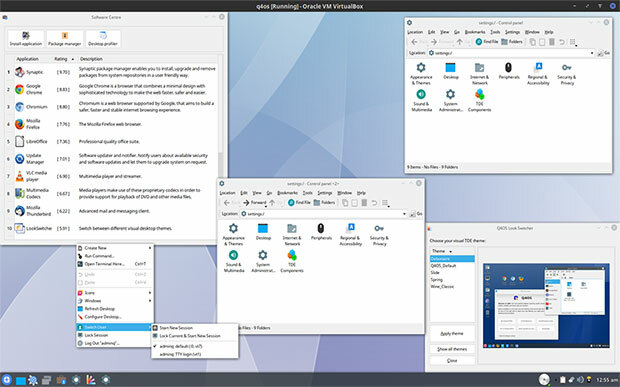 The Trinity desktop design presents a simplified look that eliminates the layers of customizations and animations associated with KDE’s Activities and virtual desktop navigation. TDE is both flexible and highly customizable without getting overbearing. download page of the developer’s web site. visit Sourceforge here. You also will find the pending stable release of the Plasma edition.